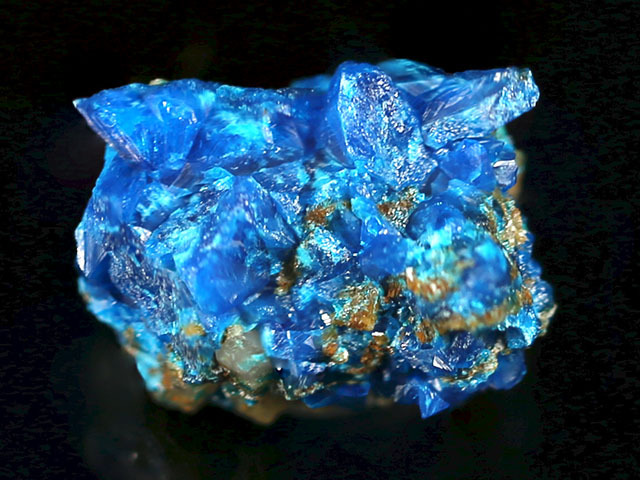 Liroconite is a rare copper aluminum arsenate mineral originally found in Cornwall. While recognized as early as 1801, its modern name comes from Beudant (1832). 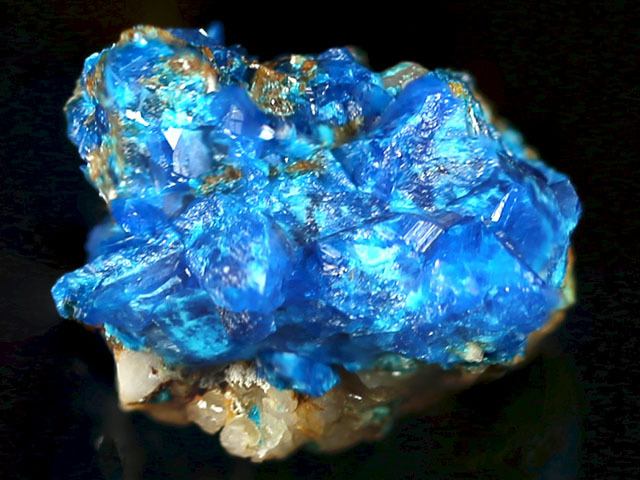 Most material came out in the nineteenth century, and considering its remarkable blue color, liroconite ranks among the most desirable copper minerals. Berry (1951) provides a good background for the copper arsenate minerals. This is a trimming of liroconite we came across. There are some crystal faces present but no complete crystals. Excellent blue color. It is difficult to find affordable specimens in this price range.